Crohn’s disease and ulcerative colitis risk was found to be associated with the long-term use of oral contraceptives. Inflammatory bowel diseases (IBDs), like Crohn’s disease and ulcerative colitis, are more common in women than men, and previous research has linked their occurrence with the use of birth control pills. 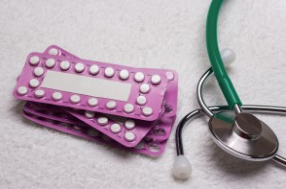 The original 2012 study found clear connections between IBD and oral contraceptives. The researchers looked at 232,452 women who provided information on IBD status every two years along with their use of contraceptives, pregnancy status, number of pregnancies, menopause status, and other lifestyle factors. Pregnancy status and the age of the first pregnancy were not associated with IBD. Three hundred ninety two cases of ulcerative colitis and 315 cases of Crohn’s disease were observed in the group. Current users, compared to never-users, had higher rates of ulcerative colitis, but the numbers were not statically significant. In women who currently or previously smoked, the use of oral contraceptives was associated with a higher risk of colitis. This association wasn’t significant among non-smokers. Crohn’s disease did not appear to be affected by smoking status. Body mass index or age did not impact Crohn’s disease or colitis cases. Urologists like Dr. Fredrick J. Snoy can provide treatment recommendations if you are experiencing symptoms of Crohn and Ulcerative Colitis. Please contact our office for an appointment if you would like to discuss with Dr. Snoy, (505) 872-4091.